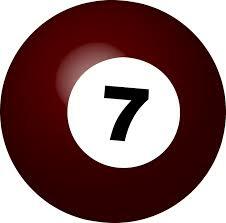 Those born on 7,16,25 of any month are said to have number 7. It's seen as these people are very sharp and thus need company of a person who could understand them. Let's see who could be their best match. These people get angry very quickly with even the smallest of things. It's also seen that some girls of this number try to escape marriage. They get over anything quickly because of which handling them is difficult. So their life partner should be patient and sorted. They should marry people of 1,8 numbers. Both these numbers are serious and understand feelings. However number 1 have less patience but are intelligent and can handle number 7 people and number 8 people are intelligent as well and they stop mental and hurried works of number 7. They should stay away from number 3 as they don't get along well.